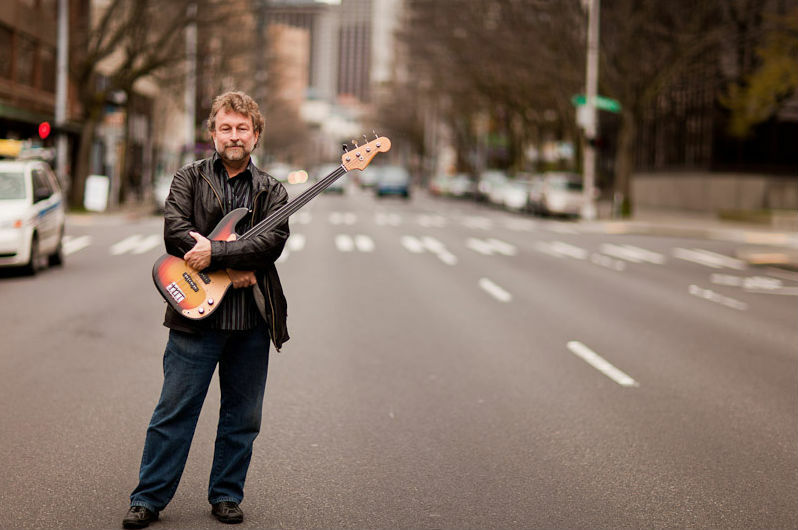 Chuck Deardorf has been an integral member of the Northwest jazz scene for over two decades. A respected acoustic and electric bassist, his dynamic performances have been a part of countless festivals, nightclubs, and recording sessions, touring the United States, Canada, the Caribbean and Australia with such jazz greats as saxophonists Bud Shank and Don Lanphere; pianists George Cables, Bill Mays and Kenny Barron; and guitarists Larry Coryell and Bruce Forman. As a first call bassist in Seattle over the last twenty-five years, he has been chosen to perform with a long list of legendary artists such as Chet Baker, Kenny Werner, Herb Ellis, Charlie Byrd, Eric Alexander, Phil Woods, Zoot Sims, Pete Christlieb, Joe LaBarbara, Jeff Hamilton, Victor Lewis, Joe Williams and Mark Murphy among others. Chuck’s latest solo release on Origin records, “Transparence” (released 2011), demonstrates his performing, producing and arranging abilities with a host of great musicians. He is currently a member of the Deardorf/Peterson Group (whose 2004 Origin release "Portal" won critical acclaim), the Jovino Santos Neto Quartet, the Susan Pascal Quartet along with the Bill Ramsay Big Band. An accomplished studio musician, Chuck’s bass has been heard on many first run movie soundtracks, dozens of albums and CD projects, and numerous Broadway touring shows. Chuck also has performed on numerous occasions with the Seattle Symphony Orchestra.